It was still dark outside when the plane landed. I was groggy and barely awake after flying through multiple time zones on a 24-hour flight from Singapore to Atlanta. For a brief moment, Atlanta’s Hartsfield-jackson International Airport was a scary and confusing place. It took me a couple of minutes to gather my thoughts and figure out that you needed to take a tram to baggage claim. It was from there that I dragged my two huge bags, in search of way that I could make it safely onto campus. Long story short, it was the most expensive cab fare I’ve ever had. The cab glided softly along the highway just as the sun was beginning to peak over the horizon. So, this was the city? One of the main reasons I chose Tech was its description of being located in ‘Midtown’ and a ‘city campus.’ Coming from a densely populated island-city filled with a sea of skyscrapers, I felt like I just stumbled upon a small town with a few tall buildings scattered here and there. Not good. For the first time, I was afraid, so afraid I had made the wrong choice of going to college far away from home without knowing a single person. Everything was foreign and there was literally not a single soul I knew. I was 18, and it was the first day of freshman year. And it definitely wasn’t the last time I had that fear of being in the wrong place. Fast forward to now, and suddenly, it is my last semester at Tech. It all went by way too fast. Thinking back, it dawned on me, to my surprise, how much I’ll miss being in Atlanta after I’m gone. This city really has a way of growing on you. I love the drive back to Atlanta whenever you head out for whatever reasons. You stare as the skyline slowly begins to emerge over the long wide highway, and of course, the pencil building, like a pinpoint on a trusty map, guiding you home. But even more so than the places, it’s the people that make a city. The roommates who always offer to cook me dinner when I have a huge project to turn in the next day, or take spontaneous trips with me to the corn maze in Buford, or skydiving in Cedartown. The friends who always make sure I get a ride back from the airport when I come back from a trip. The friends that always makes me feel like I’m coming home again for the first time. And now, on the cusp of graduation, we’re all going to go somewhere new to do whatever it is we have to do. 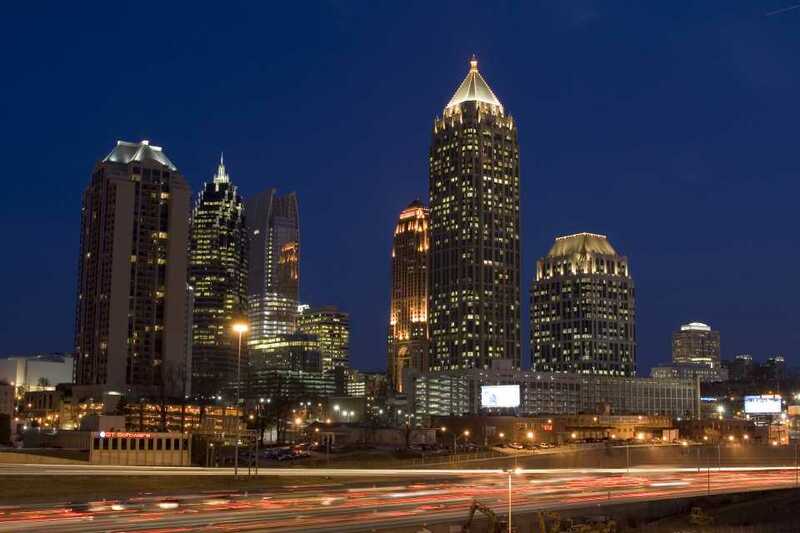 While I’ll miss Atlanta, I know the next city I live in would have its own story waiting to unfold for me. It’s the little things that make you fall in love with a city when you least expect it. It’s the little things that you take for granted on a daily basis. It’s the little things that go unnoticed every day that leave the biggest hole to fill when you’re miles away, halfway around the globe. So take a moment and embrace where you call home. You may not know it, but it could the place you’ll end up missing the most.